This article is written for the sedentary person who wants to find out in an informative, simplified way on how to lose weight, healthily. If you are well read in areas of fitness and health, you can skip this. First, calculate your rough body fat. You can use this link: US Navy Body Fat Calculator. We find this is generally accurate for most people. 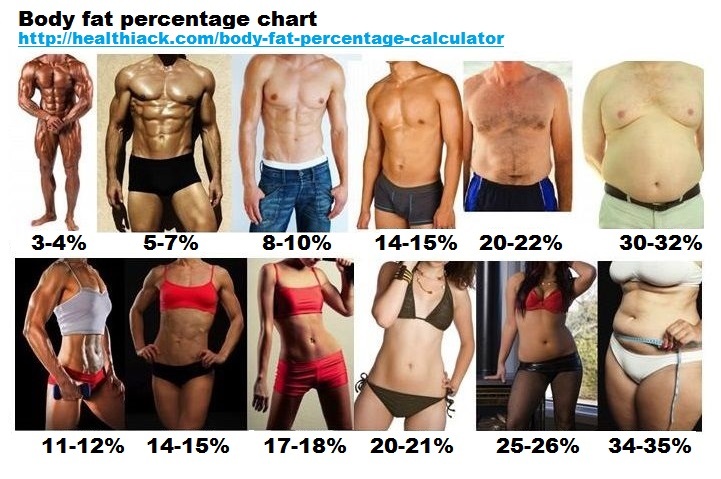 To have some sort of visual idea how body fat looks like, you can see this image: Visual Represenation of Body Fat Percentage. It is ideal for males to stay in 14% to 17% and females to be 20% to 25%. Secondly, calculate your Basal Metabolic Rate using this link: Basal Metabolic Rate Calculator. Multiply by the factor below. We find that for most people who have an office job and exercise 3 times a week, using a factor of 1.375 is sufficient. If you want to lose weight, you will need to reduce your calorie intake by 500 calories a day, and you will lose around 500g a week. Experts recommend that you try to lose 500g - 1kg a week and no more. Studies have shown that a quicker weight loss often leads to additional weight gain once the diet is done. A safe guide is the amount of time you took to put on the weight, you should expect to take the same amount of time to lose it. In this way, the weight loss will be sustainable. To track your calorie intake, we recommend using apps like Fitness Pal on your smartphone. During the weight loss process, it is normal to feel slightly hungry most of the time. Calorie intake is a rough guide to weight loss. Other than watching your intake, you should also watch out for satiety levels. For example, a bowl of rice has the same calories as a serving of soft drink, but the bowl of rice will make you feel much fuller. It does not matter how you exercise as long as you get moving. For the time conscious, HIIT programs work well, though it is extremely intensive. For those who are just starting, doing low impact sports like swimming will be better. You can use heart rate monitors like FitBit, Polar or Garmin monitors to track your calories burnt throughout the day. The most important aspect in the weight loss process is to find a routine that you can keep to. Do not try a crash diet and stop it after 2 weeks and feel disappointed. Do not jump right into a HIIT programme and stop doing it after a while as you dread it. Find food sources and exercise programs that makes you feel satisfied, confident and most importantly, sustainable. We hope this guide has been helpful to teach you a sustainable weight loss process. Let us know if you feel we should include more information in this guide!